Grace Mendes, 95, was called peacefully home to heaven by Our Lord Tuesday evening, November 27, 2018, surrounded by family after living a beautiful, graceful life. She was born in Chino, California on January 18, 1923, the youngest of 12 children, to Fred and Nora English. While attending Chino High School she met her sweetheart, John Mendes, and on March 15, 1942, Grace and the love of her life began their 76 years of blessed married life together. Grace was very athletic and acquired the nick name “Sea Biscuit” during high school. During World War Two she enjoyed being a long distance telephone operator. She had great joy in following her daughter’s, grandsons and great grandchildren’s, various activities and sports. Some of the many activities that she volunteered for and was involved in included teaching 4H sewing and cooking classes with her daughter’s and their many friends, St. Margaret’s Church Alter Society and supporting many Catholic orginazations. She enjoyed the many years working at the Boy’s Republic in Chino during the Christmas wreath season. She especially enjoyed spending time fishing, camping and hiking in Rock Creek, walking on the beach, sledding in the mountains and entertaining at home with family and friends. Grace was truly a great homemaker and enjoyed baking and creating some of the best candy, cookies and cakes for family and friends. She always remembered to send birthday cards and gifts to her family and many friends through the years. 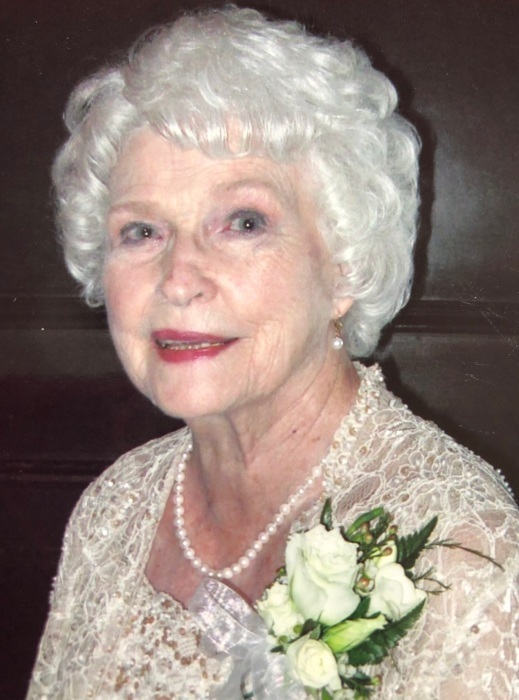 Her greatest enjoyment in life was caring for and loving her family. Grace’s faith and trust in Jesus was very important to her and brought her much peace and strength through her 95 years on earth. Grace was predeceased by her 11 brothers and sisters and son in law Alvin Hawes. She is survived by her lifelong love and husband, John, of 76 years, her daughters Carolyn Hawes, Marlene Mendes, Janene Nederend and husband Hans. She is survived by 6 grandson’s, Nathan Hawes and wife Jennifer, Darren Hawes and wife Mandy, Dustin Hawes and wife Kelly, Hans Nederend IV and wife Keri, John Nederend and wife Amy, James Nederend and wife Sydney. She is also survived by 16 beautiful great grandchildren. Viewing will be held on Thursday, December 6, 2018 at 4:00-6:00 p.m. and Rosary at 6:00 p.m. Viewing and Rosary will be held at Yraguen Nampa Funeral Home, 12th Ave., Nampa, ID, 83686. Funeral Mass will be held Friday, December 7, 2018 at 11:00 a.m. at St. Paul’s Catholic Church, 510 W. Roosevelt, Nampa, ID, 83686. The family would be honored if charitable gifts be directed in memory of Grace Mendes to: “Boys Town”, 14100 Crawford St., Boys Town, NE, 68010 or “Wounded Warrior Project”, 4899 Belfort Road, Suite 300, Jacksonville, FL, 32256.